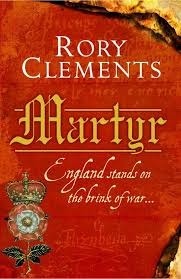 Having read both Martyr and Heretics, I have become a big fan of Rory Clements, the Award winning Author of exciting historical Tudor Spy Thrillers such as, Martyr, Revenger, Prince, Traitor and Heretics. The novels all revolve around John Shakespeare, the imagined brother of playwright William and intelligence officer to Elizabeth I, who, is employed by the Queen’s spymaster Sir Francis Walsingham to weed out trouble-makers and he Becomes embroiled in all sorts of remarkable real-life mysteries which remain unsolved to this day. With these novels Clements has created a world to satisfy both murder-mystery enthusiasts and lovers of historical thrillers as well as fans of authors such as Phillips Gregory, Hilary Mantel and CJ Sansom’s inspector William Shardlake series. Clements’ next novel is entitled Holy Spy and is due for release in 2015. Norwegian professional rally and rallycross driver Petter Solberg was born 18 November 1974 in Spydeberg in Østfold. He debuted in the World Rally Championship in 1998 and was signed by the Ford factory team in 1999. The following year, Solberg started his successful partnership with the Subaru World Rally Team.With the Subaru works team, Solberg finished runner-up to Marcus Grönholm in 2002 and then became the first Norwegian to win the drivers’ world title in 2003. In the following two seasons, he finished runner-up to Sébastien Loeb. Following Subaru’s withdrawal from the WRC at the end of the 2008 season, Solberg secured private backing to start the Petter Solberg World Rally Team and competed with aCitroën Xsara WRC and a Citroën C4 WRC. He switched to rallycross after the 2012 season. British car designer Sir Alexander Arnold Constantine Issigonis, CBE, FRS was born 18 November 1906. He is remembered chiefly for the groundbreaking and influential development of the Mini, launched by the British Motor Corporation (BMC) in 1959. Issigonis went into the motor industry as an engineer and designer working for Humber and competed successfully in motor racing during the 1930s and 1940s, racing a supercharged “Ulster” Austin Seven, later fitting it with a front axle of his own design, leading to employment at Austin. This greatly modified machine was replaced with a radical special completed in 1939, constructed of plywood laminated in aluminium sheeting. The suspension was also of advanced design, with trailing arm front suspension attached to a steel cross-member, and swing axle rear, all with rubber springs made of catapult elastic. This car was remarkably light, weighing 587 lb. Austin supplied a “works” specification supercharged side-valve engine. Issigonis usually won, even when entered in the 1100cc class if there was no 750cc category. In August 1959 the car was launched as the Morris Mini Minor and the Austin Seven, which soon became known as the Austin Mini. 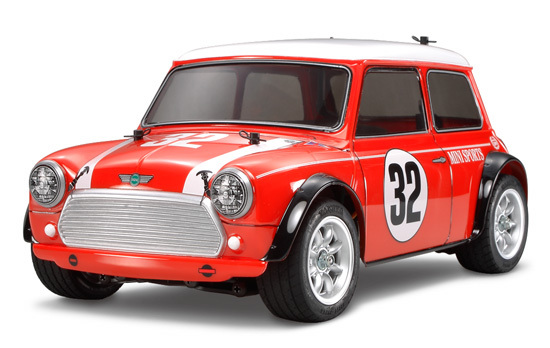 In later years, the car would become known simply as the Mini. Due to time pressures, the interconnected suspension system that Issigonis had planned for the car was replaced by an equally novel, but cruder, rubber cone system designed by Alex Moulton. The Mini went on to become the best selling British car in history with a production run of 5.3 million cars. This ground-breaking design, with its front wheel drive, transverse engine, sump gearbox, 10-inch wheels, and phenomenal space efficiency, was still being manufactured in 2000 and has been the inspiration for almost all small front-wheel drive cars produced since the early 1960s. In 1961, with the Mini gaining popularity, Issigonis was promoted to Technical Director of BMC. He continued to be responsible for his original XC projects. XC/9002 became ADO16 and was launched as the Morris 1100 with the Hydrolastic interconnected suspension system in August 1962. XC/9001 became ADO17 and was launched, also with the Hydrolastic suspension system, as the Austin 1800 in October 1964.The same principle was carried over for his next production car the Austin Maxi, However by then he had become more aware of the cost considerations of vehicle manufacture and in service warranty costs which were crippling BMC. It certainly appeared by the Maxi development era that Issigonis wanted to “do his own thing” as cost cutting and development costs spiraled. He would instead research work on his Mini replacement the 9X with its compact transverse engine.